Technically the main point of interest is the focal length – 16mm (24mm equivalent in full frame), taken with my ‘standard’ lens, the 16-80mm CZ, a very good all-rounder. Stopped down ever so slightly (from 3.5 to 4.5) to add a touch of sharpness, ISO 800 – which is the highest I dared to go with my A700 before noise would start to become visible, and 1/6th of a second is easy to do with the stabilisation in the body. This was pretty much a ‘regulation shot’ with that body and lens indoors. 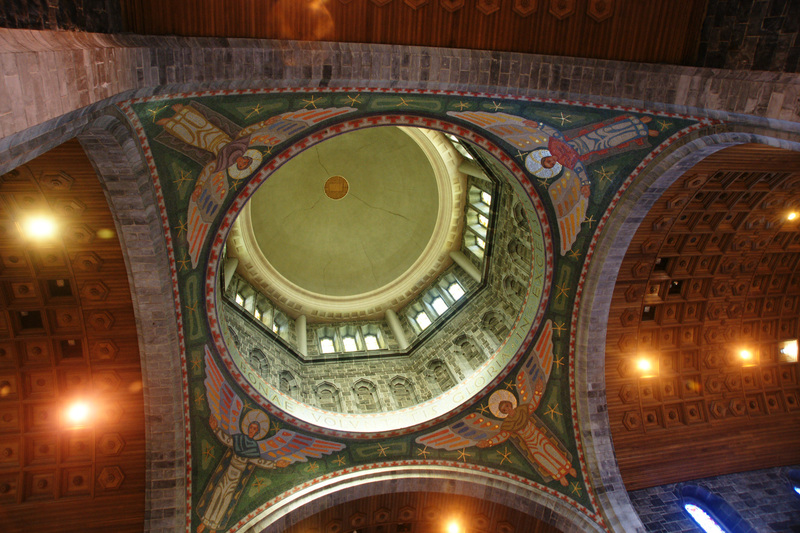 This entry was posted in photography and tagged cathedral, church, Galway, Galway Cathedral, Ireland by marvol19. Bookmark the permalink.